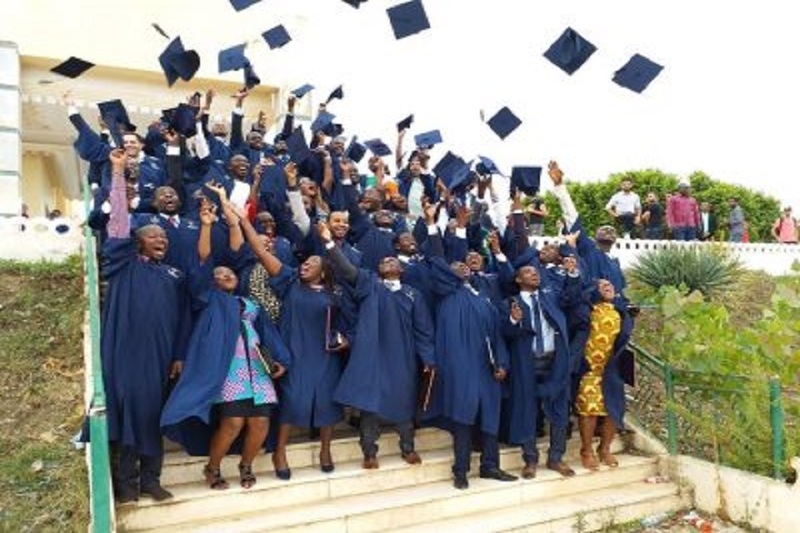 A graduation ceremony was held for third cohort of PAUWES students on 1 October 2018 in Tlemcen, Algeria. This ceremony was attended by high-ranking officials including the Rwandan Ambassador to Egypt representing the Chair of the Permanent Representatives Committee, H.E. Habimana Saleh, an AU delegation led by AU Commissioner for HRST, H.E. Prof. Sarah Anyang Agbor, including PAU Interim Deputy Rector, Prof. Kassa Belay, The Wali (Governor) of Tlemcen, the German Ambassador to Algeria, H.E. Ulrike Knotz, the President of PAU Council, Prof. Pierre Dominique Nzinzi, the representative for the German Federal Ministry for Economic Cooperation, GIZ representatives, the acting Rector of Abou Bekr Belkaid University of Tlemcen, the Director of PAUWES, and the Directors of other PAU Institutes namely PAUSTI and PAULESI. The ceremony was also attended by PAUWES staff and students and other invited guests. 9 responses on "3rd Cohort students of PAUWES graduates with Masters in Energy and Water Sciences"
to find out what blog platform you’re using? I’ve been surfing on-line greater than 3 hours nowadays, but I by no means found any interesting article like yours. It is lovely value sufficient for me. In my view, if all web owners and bloggers made excellent content as you probably did, the internet can be much more helpful than ever before.